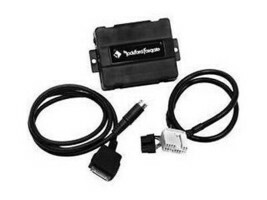 Specific for select VW and Audi vehicles, the integration kit delivers high fidelity CD quality audio output from your iPod to your factory radio. Integrated controls allow you to simultaneously control music from your iPod, radio or steering wheel controls. Features text display including song title, album and artist name on your radio. Charges iPod and transfers media to your factory radio. Works on all smart phones or electronic devises with audio output/headphone jacks.